Doug Burger is one of the world’s leading active researchers in computer architecture, with a broad set of important contributions to his credit. After receiving his PhD from University of Wisconsin in 1998, he joined UT Austin as a professor, receiving tenure in 2004 and becoming a full professor in 2008. His work on Explicit Data Graph Computing (EDGE) represents the fourth major class of instruction-set architectures (after CISC, RISC, and VLIW). At U. Texas, he co-led the project that conceived and built the TRIPS processor, an ambitious multicore ASIC and working EDGE system, which remains one of the most complex microprocessor prototypes ever built in academia. A number of Doug’s research contributions, such as non-uniform cache architectures (NUCA caches), are now shipping in Intel, ARM, and IBM microprocessors. He has been recognized as an IEEE Fellow and ACM Fellow, and in 2006 received the ACM Maurice Wilkes Award for his early contributions to the field. He is the co-inventor of more than fifty U.S. patents, including six with Bill Gates. 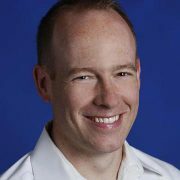 Doug joined Microsoft in 2008, believing that Microsoft is the right place to do amazing architecture work with huge impact. Since then, he has had significant influence on both the company’s products and its technical strategy. He co-founded and co-leads Project Catapult, which set the goal of designing the right post-CPU acceleration architecture for next-generation hyperscale clouds. This work produced the Configurable Cloud architecture, based on network-attached FPGAs, that is now is central to Microsoft’s cloud strategy. This project has enabled teams across Microsoft to drive major advances in artificial intelligence/deep learning, Bing ranking, cloud networking, storage efficiency, security, and large-scale service acceleration. His current group (Silicon Systems Futures) is highly interdisciplinary, working in areas as diverse as cloud acceleration, silicon architectures, mobile app ecosystem architecture, new optical devices, and machine learning. More information about his research and publications can be found on his CV.